Welcome to our movie program, featuring the best movies about Technology, Games and everything new and exciting! Every 2 weeks a new movie in your local hotspot for interactive technology, that for one evening is a place for sitting back and relaxing. • Drinks for sale, provided by Le Labo. Please buy one to support us instead of bringing your own. • No commercials! Yet. We’re open to it, because it would allow us to do this more often and better. For now, we will start with a short movie first. • The movie will be in English, with German subtitles. The third film we have lined up for you is INDIE GAME: THE MOVIE (2011). It is the first feature documentary film about making video games. It looks specifically at the underdogs of the video game industry, indie game developers, who sacrifice money, health and sanity to realize their lifelong dreams of sharing their visions with the world. After two years of painstaking work, designer Edmund McMillen and programmer Tommy Refenes await the release of their first major game for Xbox, Super Meat Boy—the adventures of a skinless boy in search of his girlfriend, who is made of bandages. At PAX, a major video-game expo, developer Phil Fish unveils his highly anticipated, four-years-in-the-making FEZ. Jonathan Blow considers beginning a new game after creating Braid, one of the highest-rated games of all time. Four developers, three games, and one ultimate goal— to express oneself through a video game. 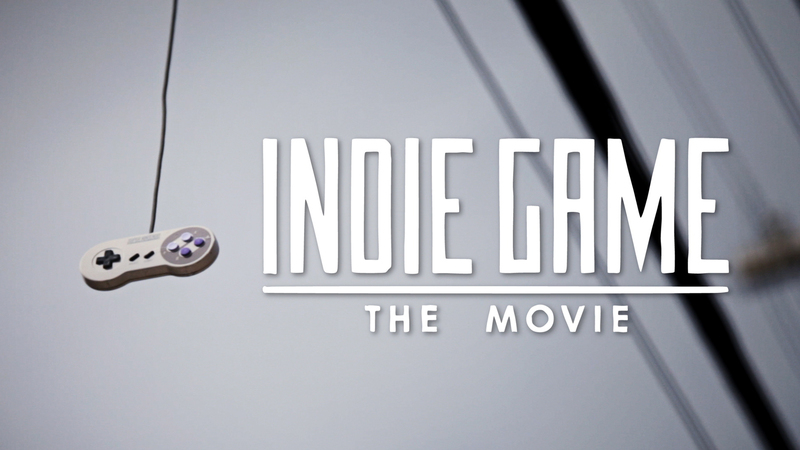 Indie Game: The Movie is about the creative process and putting yourself out there through your work. It’s a journey many filmmakers, creators, artists, entrepreneurs – many people, can relate to in the digital era. James Swirsky, one of the directors, has graciously supported us in organizing this screening. Thank you James!